Last week, I went to Charlotte, North Carolina with Feminist Majority Foundation to help protect reproductive health providers from anti-abortion extremists Operation Rescue/Operation Save America during their national siege. This summer I’ve worked a great deal on with our NCAP project, and am following various anti-abortion organizations as part of my internship. 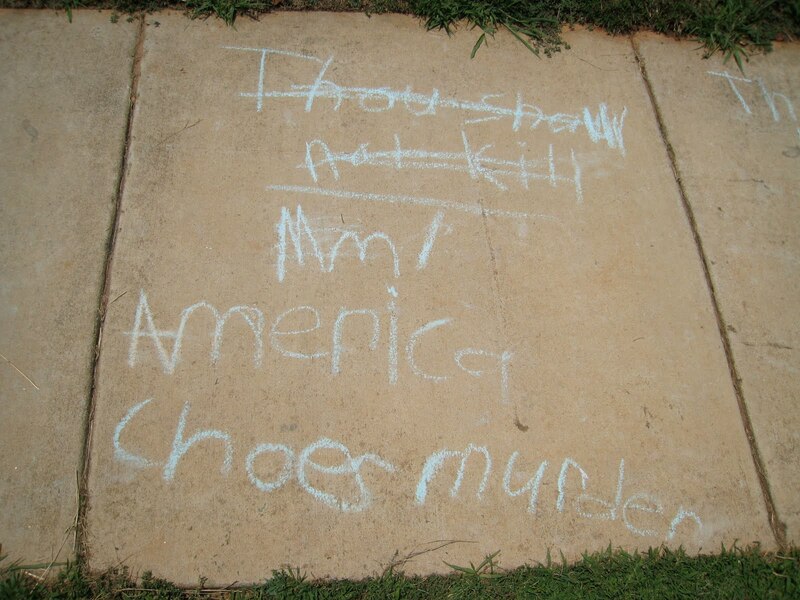 Before this summer, I didn’t really know a lot about NCAP or the history of anti-abortion violence. I heard about the murder of Dr. George Tiller over a year ago, and that was about as much as I knew. FMF’s National Clinic Access Project (NCAP) began shortly after FMF was founded and provides a great gamut of assistance to women’s health care providers targeted by anti-abortion extremists. Just to give you an idea of what we do – NCAP specializes in tracking anti-abortion extremists, works with federal, state and local law enforcement to protect abortion providers, provides grass-roots organizing support for clinics, recruits pro-bono legal help for clinics under siege, and even makes emergency grants to targeted clinics to improve security measures. So when the National Clinic Access Project heard Operation Rescue/Operation Save America announce a national siege of Charlotte-area abortion providers in July, NCAP immediately began to organize to protect the clinics, their workers, physicians and patients in advance of the OR/OSA week of harassment. That’s where I come in. As part of my internship, I traveled to Charlotte as part of the NCAP team to work with FMF national organizer, campus organizer, legal coordinator and two other interns to help organize clinic defense, grass roots trainings, legal observing and escorting, but most of my efforts focused on clinic defense. Clinic defense is literally about mobilizing a ton of pro-choice peeps to create a human buffer zone between anti-abortion zealots and clinic staff and patients. Clinic defense is also critical to helping maintain access to clinic driveways and entrances while sending a critical message of support to the clinic. Also, what I learned is that clinic defense can also provide a distraction for anti-abortion protesters so that they don’t bother the patients. If OR/OSA is too busy yelling at a clinic defender, they don’t tent to notice a car pulling into the drive way with a patient. Although clinic defenders create a buffer zone and often take the focus of the anti’s attention, we (as clinic defenders) must not cause problems for the clinic — or the police, which is why NCAP strictly enforces a non-engagement policy. No witty comebacks, no arguing, no general conversation with the anti’s. You have to be completely stone-faced. Which frustrates them even more so they get caught up in “breaking” you and forget about patients (win). This principle of non-engagement is covered meticulously in clinic defense trainings — along with a pledge of non-violence. On the last training before the siege, the NCAP clinic defense team, along with ProChoice Charlotte and the UNCC Feminist Union, met with an eager group of activists who were ready to face Operation Save America. A few had done escorting in the past, but most were new to the clinic defense scene. We had everyone introduce themselves and explain why they were there and then gave some general information about the non-engagement policy and what should be expected throughout the week. We emphasized that we are the guests of the clinic and that we must abide by what the clinic wants, and engaging with anti-choice protesters would not be tolerated. We then all got up and practiced linking arms in a line and also how to create a buffer around a patient (you can never be too prepared, plus it’s also just good to know). After getting the basic linking down, we then took a stab at practicing our non-engagement faces. We formed two lines and stood facing each other. We then started yelling insults at each other, one side pretending to be anti-choice protesters. Then one side pretended to be anti’s while the other completely ignored them so we could get a feel of just how reserved we would need to be. We also mentioned as clinic defense it’s important to be aware of any information relevant to helping the clinic. This included alerting law enforcement when there was a problem, and notifying NCAP leaders if OR/OSA was trespassing or violating city ordinances. Despite OR/OSA running amuck in the city, the pro-choice community of Charlotte was amazing. The NCAP team was welcomed with wide open arms. My campus organizer and I stayed with a professor from Davidson College that I had never met before, and he went out of his way to make sure we were as happy as could be. We were welcome in everyone’s home, even those who weren’t connected to the clinics at all. Pro-Choice Charlotte, Charlotte NOW, Planned Parenthood, UNCC Feminist Union, and many unaffiliated individuals who worked alongside NCAP created a dazzling web of pro-choice support and grassroots activism that would eventually lead to the first harassment-free day at a local clinic in eight years. Even local law enforcement which had been reluctant to help in the past took a new turn in supporting the clinics. It also lead to the creation of new alliances, friendships, and overall feminist fuzzy feelings between everyone there. My convictions were reaffirmed, and even strengthened by facing the extremist opposition. While draining emotionally and physically, and at times just ridiculous, I wouldn’t trade this experience for anything.